Lionel Messi, the living legend, has continued to create and break records in the football history. When it comes to Spain or Europe, he has shown his extraordinary skills and game-play and topped every tally. The Barcelona star has got some great numbers at his Hall of Fame. He has won not less than 5 FIFA Ballon d'Ors, 4 UEFA Champions Leagues, 3 FIFA Club World Cups, 9 La Liga titles, 8 Spanish Super Cups, 3 UEFA Super Cups and many more. But its quite sad to hear about when it comes to his international career. 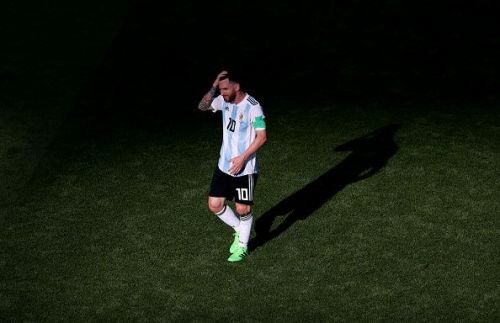 The Argentine has failed to win any international tournament. Messi managed to lead Argentina to finals in both Copa America and FIFA World Cup but unfortunately didn't win any. Following are some reasons for Lionel Messi to play World Cup and may even win it. Throughout the 2018 FIFA World Cup, Sampaoli was criticized for not managing the team properly and resulting in early elimination in the tournament. During the qualifiers, Argentina even faced many difficulties in qualifying for the Cup but the mighty hero somehow made it possible for the nation to get through to Russia. Scaloni was appointed to succeed Jorge Sampaoli after a disappointing performance World Cup performance in Russia, where the Argentines won only a single match and were knocked out soon. "We've seen Scaloni's work and as a result, we are offering him the chance to continue until the Copa America," Tapia said. 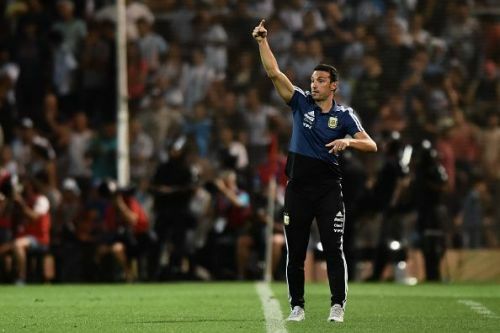 Lionel Sebastian Scaloni is a capable coach for the team as he has played for Argentina for 3 years and he can easily comprehend and study the play style of the team as he was already the assistant manager of the team in recent years. Hence, he already knows much about the players and makes the play better. The new manager will definitely help in supporting the team to play along Messi up to his capabilities resulting in a better team play in the matches because even the GOAT can win a football tournament alone as football is a complete team sport.